A place of solitude, seclusion and serenity...the right spot... to write. Linda's Write Spot: COMING SOON!!! I'm featured on the home page this week, snowfall and all...CHECK IT OUT! 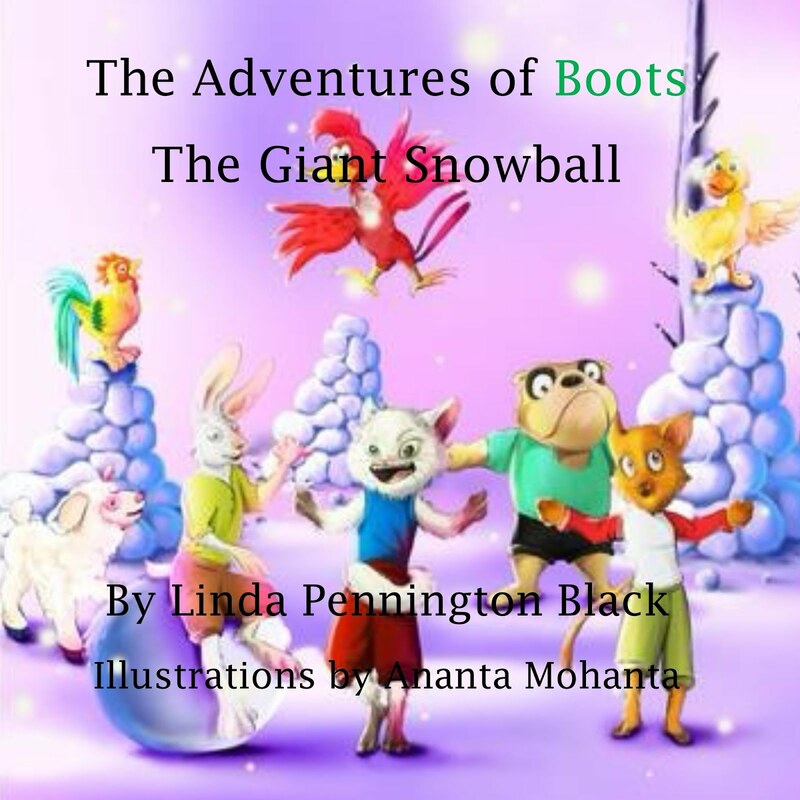 Christmas time is here and there's nothing like kicking back with a good book ( The Adventures of Boots: The Giant Snowball) and watch the ground become a beautiful white blanket. Thank you Jennifer Young. It's a pleasure to have you join me today. 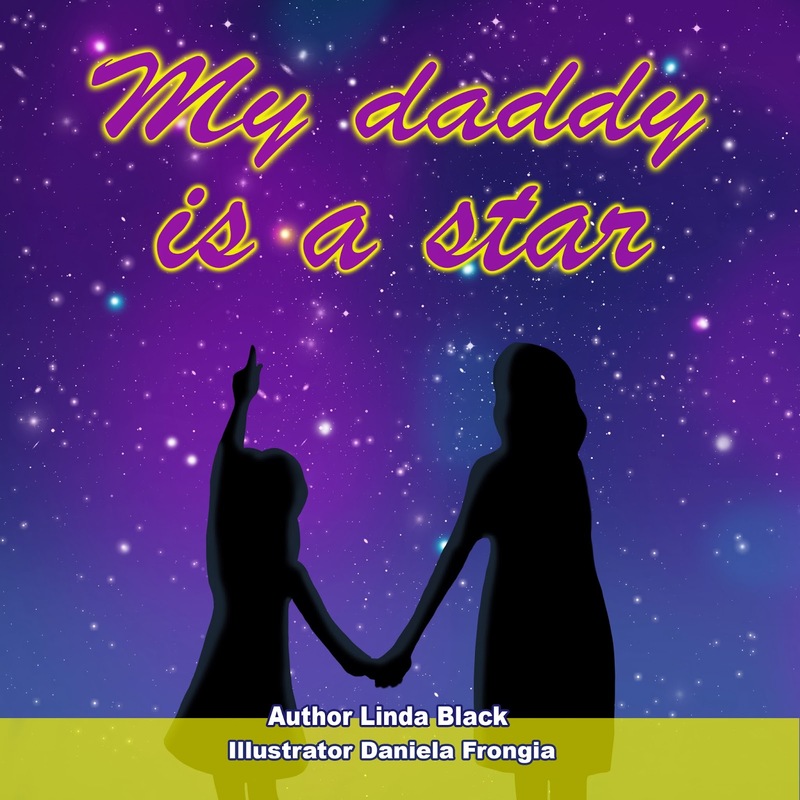 I usually aim at writing fractured fairy tales or humorous stories for children, but it doesn't always turn out that way. I'm originally from Southern Connecticut, but now live in South Jersey with my husband and three children. I’m a member of Julie Hedlund’s group 12 x 12. I participate in Tara Lazar’s annual PiBoIdMo which lasts all of November and I am a member of two wonderful critique groups. 2. What is the title of your most recent book? Elaborate. Share an excerpt if you like. My second picture book, A CHERRY TOMATO ON TOP, is coming out in the fall of 2013, with Willow Moon Publishing. Synopsis: Gordy's birthday is only a few days away and he longs for tasty treats like cherry tomatoes and pickled beats. In Gordy's backwards world, junk food - like candy & chips - are considered healthy. Everywhere Gordy goes he sees yummy fruits and vegetables but he must wait for his special day to get them. 3. Do you have other published works? If so, tell me a little about it/them. My debut picture book, POISON APPLE PIE, was published last year on March 24th 2012 and is available through MeeGenius Children’s Books. I have one more picture book, BABY BUG'S YAWN, forthcoming with MeeGenius Inc. in early 2014. 4. Where do you get ideas for your books? -Try not to make it a race to get published- it's a long process and you'll need patience. 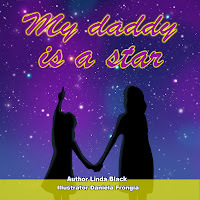 -Read as many children's books you can and I write as often as you can. -Check out different types of writing groups are out there-online or in person- and find one that will help you continually learn about the publishing world and grow as a writer. 6. Since you been writing, have you had an ah ha moment? Yes! One editor (from the start of my writing journey) politely rejected my submission but she also gave me helpful advice. And with her words I was encouraged to keep at it. Get listed on the directory! I found this to be a very interesting article. When I was growing up, I saw some of these still practiced by older people. The customs lasted for a long time but are mostly died out now. I have to get it together. until nine-eleven, our blood they drew. numbers far too numerous to mumble. the peace we knew was over and done. three thousand plus, more than from a terrorist bomb. from the heinous deeds of terrorist teams. a ray of hope raised my brows. my prayer for peace and brotherly love. so much togetherness in our communities. the love, the support so soon forgotten. America, our kingdom, the land of freedmen. S.T.O.P. BULLYING will be offered FREE for KINDLE Thursday Sept 5 through Saturday Sept 7. This is your chance to read a really good book at NO CHARGE...seize the opportunity! If you are a published author and need exposure, this is an opportunity you won't want to miss. Check it out today. It's awesome! COMING SOON!!! Don't miss this exciting interview with Judy as she talks about her newest series of books. You'll want to pick these up...cozy mysteries is exactly what are! Krissy Clowe will be the guest on honor on my blog on Thursday July 11. Stop by and get acquainted with Krissy as she talks about what inspired her to write and what she writes about. She will also be introducing her new book, I Really Love You, Ava. 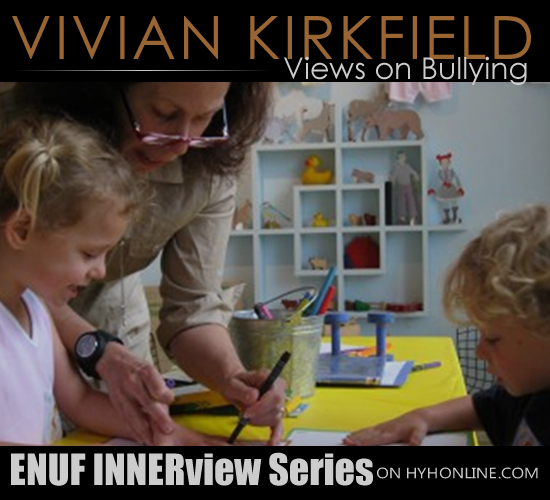 An awesome interview on Bullying! Soon, I'll be doing something brand new! Stay tuned for an update! 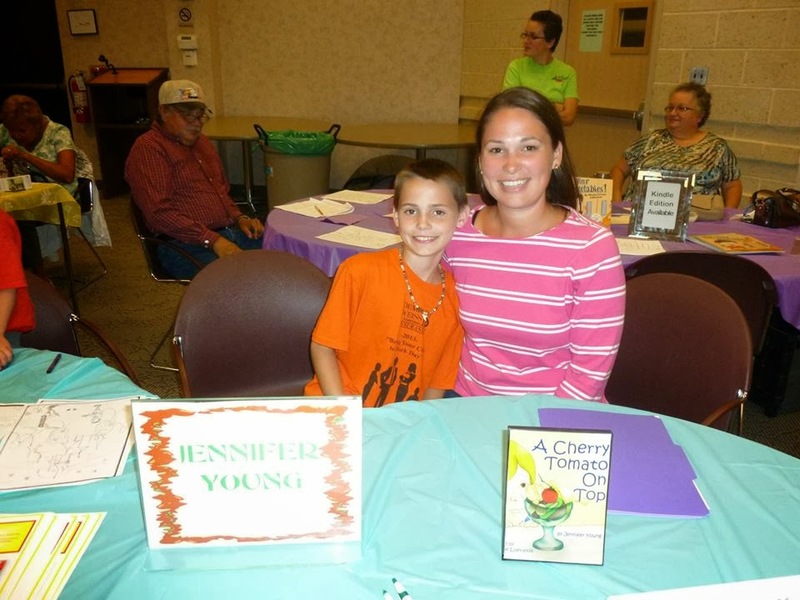 Book Signing Event Tips With Easy Mnemonics Reminder! Book Signing Tips! Hopefully they will be helpful to you! Most authors write in isolation, therefore to represent their selves at a book signing is not something they relish. This document highlights some good practice identified by debut authors using the simple tried and tested method ‘TRIAL & ERROR’ resulting in excellent consecutive book signings. The say to ‘fail to plan is to plan to fail’ . Your publisher will make the initial arrangements well in advance, send a press release to local media and arrange with the store to have sufficient copies of your novel in stock as well as discussing with them advertising your attendance. So you may think that all the preparation is complete? Far from it! Prior to the event it is wise to speak with the manager at the said store by telephone or in person if the store is local to you, confirming your attendance. ASCERTAIN who will be the manager in the store on the day? Ask WHERE will you be located in store? Ensure you are near to the doors, clearly visible so people have to walk past you. If you are not happy with the position they intend to place you tell the manager as he/she will take it for granted that everything is okay unless you speak up. Confirm that there will be visible advertisement before and on the day of the signing in the shop windows. The publisher will often have sent posters pre book signing and these could have been received by another manager and stored away ‘somewhere safe’ and forgotten. Display boards outside emphasising ‘BOOK SIGNING TODAY’ are most helpful and bring in footfall from passing trade. There may be space here to write the name of your novel or genre type. ‘Every little helps,’ so they say! THINK – photo opportunity on your arrival of you and the staff. Good for your website and social media sites. CONSIDER speaking to local press yourself. Look on the internet for local media. If you are local or have a connection to the town it makes a good story that they will often run with and it is also a chance for a photo opportunity – but you must ask, they can only say no. WEBSITES—Does the store have a website where they can advertise your book signing? You can befriend the store on facebook and when you are you can advertise the event yourself here. I suppose this goes without saying that you would advertise too on ALL your own media contacts such as Twitter, Linkedin, Goodreads etc. LOCAL – Think local radio. Some have a simple system where you can ring and record your message about a local event. If not then ring their reception or admin office and ask if they would consider letting you be a guest on a show or if they would give you ‘a plug,’ again they can only say no. Most local radio stations are only too happy to have a guest in the studio. Don’t just look for the national radio stations such as the BBC; look for the internet stations too. CREATE your own display boards. An A5 sized board that can be bought quite cheaply from stationary stores or on the internet. A carrier for these can also be bought again quite cheaply from Argos or again on the internet. Cover the board with press cuttings, photos and advertisements of your book – even the price. These advertisement boards about you and your novel will build up in time and are well worth investing the effort as they ‘draw in’ the customer and is a good talking point. BADGE. We have taken to wearing our own made badge that simply says thereon…Our name, Author and the name of our book. It may be a minor detail but it quickly identifies to a customer who you are and saves you being asked questions to locate other literature. Bob is often mistaken for the manager! BOOKMARKS. We have a few bookmarks with ‘Deadly focus’ thereon and relevant websites which we hand out freely- this is a great way of interaction with shoppers and if they are ‘too shy’ to buy at the time or ‘too busy’ the bookmark may tempt them to purchase at some later date. BOOKS. The store may have a dozen copies of your book in store – it varies from store to store but before you even turn up it is often the case that they have sold one or two to people who have seen the adverts. However be sure to take extra books with you. You may sell out their stock and wish to sell more. Speak to the manager beforehand as Waterstone’s will let you sell your own stock once theirs have gone and order the amount of books you have sold from their centre ‘the hub’ to return these to you at a later date. Please keep a check of these as you very often have to chase these up. WH Smith will purchase the books from you in our experience but it can take up to six months for you to get that money again make sure you set up an account with them to ensure you get the money they owe you. The manager may wish you to leave any of your books that you have left of your or their stock for them to put on their shelves and they will ask you to sign them – the usually put a sticker on these books to say ‘signed by the author’. STOP!!!! No I am not suggesting that for one moment you should be in fancy dress. As the ex detective I always put on the suit , collar and tie. Something that helps you stand out from the other shoppers perhaps would be helpful. Treat the experience as a job interview, first impressions matter. ALL PREPARED? If the day goes well you should be exhausted and have a sore throat. Never before will you have spent so much time passionately talking about YOU, YOUR BOOK and your publisher – in our case CAFFEINE NIGHTS. Set your display how you think it would work best. Even take along an easel if you can to get the board at eye level. In any downtime – we find shoppers tend to come in ebb and flows for no apparent reason at all, sign the books that way you only have to personally dedicate them should you get a rush on! WARNING – always ask the customer how to spell the name of the recipient, NEVER ASSUME we’ve had so many spellings of Ian you wouldn’t believe! There may be a seat but it doesn’t mean you have to use it at all times. You need to become a market trader, interact with the customers. The initial smile and contact; ‘Good morning, are you interested in crime fiction’ is a great ice breaker. You will soon get the vibe if the person is interested or totally blanks you – yes there are some strange people out there. Don’t be put off, move on. Staff at the major retailers regularly tell us they are pleased we interact with their customers as some authors just come and sit down waiting for people to approach them which they say doesn’t work. Think, does your genre fit into a 3 for 2 offer at the store? If so ask if you can use it and this will allow your books to go on the 3 for 2 table. There is nothing stranger than people. As I briefly mentioned before you will get blank looks, curt responses and even rebuffs but think of that as a challenge! We have even got people to put down their chosen intention and swap it for ours. I have stood outside the shop wearing the badge and got people to come inside and make a purchase. It can be fun- take the lead from the staff, and customers for every store and town are different. Never under estimate your own ability. You know everything about your novel and no one else does. You want people to read it. It’s your chance to tell them. Let them read the blurb on the back, hand them a book and if they start to read you’re half way there. Remember you spent months crafting this work of art, for them to enjoy. It’s the best read in the store. So tell them it is. You’ll get the local oddball or the confrontational shopper. We had a six foot five biker, clad with leather jacket carrying his helmet who walked straight up to me almost nose to nose and said, ‘Are you the f…ing copper who wrote this? I hate coppers’ Lovely man, after a short while he bought a copy. Carol still is unsure how I managed it. No it wasn’t a grip to the groin area. Remember, most people that walk through the book shop doors intend purchasing at least one book. WHY NOT YOURS? Some people simply love books signed by the author, any author! It’s a sale! The reason doesn’t matter it’s the purchase that counts. Ice to Eskimos springs to mind. What about the staff? They read too and you know they will enjoy your novel so don’t miss an opportunity of a sale. So a sell out? Where’s the next one going to be and when. If it didn’t go to well don’t let one bad day at the office dishearten you. It maybe the time scale i.e. 2 hours was insufficient. The number of foot passengers in a shop vary throughout the day. You may have hit the quiet time. A lot of stores monitor their footfall, ask the manager if there is a regular peak time during the day? If there is you don’t want to miss it. Don’t forget to thank the staff. We always buy a box of chocolates for them to share – they’ll remember you and look forward to you coming back. So although exhausted after a successful day promoting ,yourself , your novel and your publisher it’s time to put your feet up and type a message to the store manager and their HQ thanking them for their hospitality and professionalism. We have been requested to return with our future novels, an endorsement in itself. The stores staff we find often also e-mail each other telling them about good and bad book signings so you want a good endorsement. Finally before you fall asleep updates are required for your publisher, friends on facebook ,twitter etc, sharing the success coupled with the photographs to advertise you successful day and the next event. Be assured the more book signings you do. The more accomplished you become at selling. THE BELOW MNEMONIC CAN BE USED AS A QUICK CHECKLIST. O——–OVERT POSITION IN THE STORE. O——–OPPORTUNITY TO PROMOTE YOURSELF AND YOUR NOVEL. K——– KEEP PLEASANTLY POSITIVE AND DONT BE DEFEATED. S———SELL YOUR BOOKS..SEIZE EVERY BOOK SIGNING DAY. G——–GIVE IT MORE TIME THAN PERHAPS INTENDED. N——–NEED TO BECOME THE MARKET TRADER -TALK TO PEOPLE. I ——– INITIATE COMMUNICATION-GOOD MORNING,BOOKMARK, ETC..
N——- NEGOTIATE WITH STAFF ABOUT TIME,LOCATION IN STORE AND OTHER MATTERS. G——- GO THE EXTRA MILE. GIVE THE STORE FEED BACK AND GET READY FOR THE NEXT ONE. FINALLY DONT SQUANDER THIS OPPORTUNITY—THERE ARE PEOPLE OUT THERE WHO DONT YET KNOW THEY WANT YOUR BOOK——SO TELL THEM! GOOD LUCK & ENJOY! What do you think about bullying? I'm currently writing a book and would like to get some input. How would you like your story published in a book? 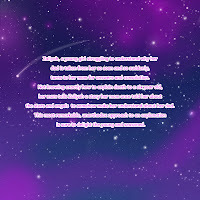 If you have a story to tell and would like to share it, please go to my blog site and post your comment. 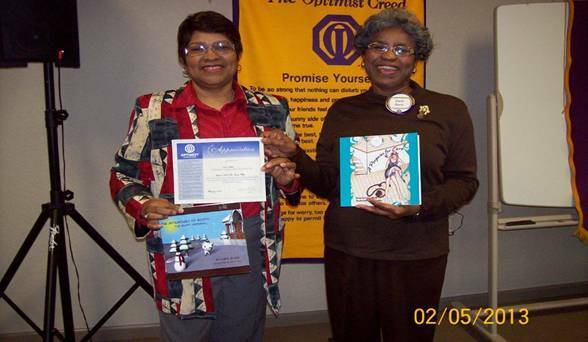 On February 5, 2013 I was asked to speak at the Optimist Club in Hot Springs Village. Now I have another certificate to add to all the others. Presentation to our Guest Speaker a “Certificate of Appreciation” from our club goes to Author, Linda Black, given by Gwen Davis, Optimist. Holding children books “Boots” is Linda and “A Porpoise for Cara” is Gwen. Browse, stay awhile and if you would please leave me a message. All of my life I've wanted to be a writer, and I've never been afraid to dream. Today my dreams have become reality! I'm so happy it was well received and the attendance was great! I didn't know! Thank you so much UUVC for having me.